Hemp oil: one of the intriguing “potions” that Mother Nature, with her bobbing head and knowing smirk, bestowed on us mere mortals long, long ago. From Earth, is this oil! It’s oil from a smart plant indeed. Into our imperfect and sometimes ill-stricken body systems, it flows—absorbed by the multitudes, over the centuries. However, it’s not without its foes. There is a twist. There always is. From one variety of plant, the THC-laden hemp oil. Hash oil, or weed oil as it’s called, has been viciously labelled the Devil’s harvest, and a menace to society. From another variety of plant, with seemingly fewer enemies but not without undeserved sceptics, comes the hemp-agri-food oil. In seeking to understand the types and true merits of the hemp plant, don’t feel stupid if drawn in by the meme: the Angel’s Oil vs. the Devil’s Oil. I know I was. The edible hemp oil, which we’ll focus on in more depth, needs a preamble for useful discussion. When it comes to hemp oil, a line has been drawn in the butter, so to speak, separating the legal and illegal hemp plants. That is to say, there are almost impenetrable laws governing how society is allowed to manipulate hemp for our own benefits. Our understanding of its applications and effectiveness has been bifurcated into perceived “good” and “bad” hemp uses. This, in my view, is misdirection. Hemp is a whole plant, and should be seen as such, as that is the way it comes to us in nature. Medically active ingredients exist in the plant’s botany; this is a given. It is how we choose to make use of its many uses that is at issue, constantly. There is nothing “wrong,” per se, with hemp. It doesn’t have a bad side. It is society that assigns the label. Sativa and Indica. Have you met them? When it comes to oil made from a suspect plant called hemp, there are two known and differently understood varieties: Sativa and Indica. The meme runs on a parallel with this. You’ve heard it—the healing food, and the demonic drug. The clandestine mafia-controlled taboo plant, and the quasi-endorsed industrial agri-food variety. Pick your battle, because the framework of the dichotomy has already been decided. Good versus evil. This is the construct with which we have been presented, and the framework under which the war on drugs and the war on the poor and the sick is fought. 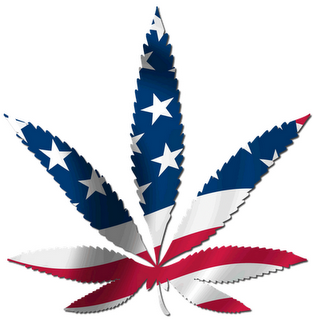 An obstruction to understanding the way in which hemp gets misrepresented, is what governments encourage. Starting with the devil’s tool in splitting the legality of plant strains, this meme, in turn sponsored and cultivated by vested interests, prevents hemp from being understood, as a whole plant. Meet “good” Sativa. There is today, on the open market, a commercial, industrial, legal type of hemp oil. Hemp oil is a food, of course, in its own right, sold at the natural grocery store, and touted for its nutritional value. You may have heard of creamy hempseed nut butter. Hemp oil is produced by cold-pressing the oil from seeds, and is ingested as with other oils. It can be sprinkled on salad, or added in vinaigrette. Hemp in this legal category is, also, found in body care products, and hence we hear the term “trans-dermal application.” Refined hempseed oil is used in cream products for the skin, and is clear in colour. Hemp seeds have 25 percent quality protein and 40 percent fat in the form of oil. In the natural grocery store, you will likely find hemp oil in bottles kept under refrigeration. Hemp oil is dark to light green, and has a nutty flavour. The general recommended serving is two tablespoons, converting to 9kcal/g. It is low in saturated fatty acids thus it can turn rancid, if left in the pantry for too long. It must be stored properly in a cool, dark place, preferably in a dark glass bottle, away from the sun or heat. And of course, it can be frozen for future use. 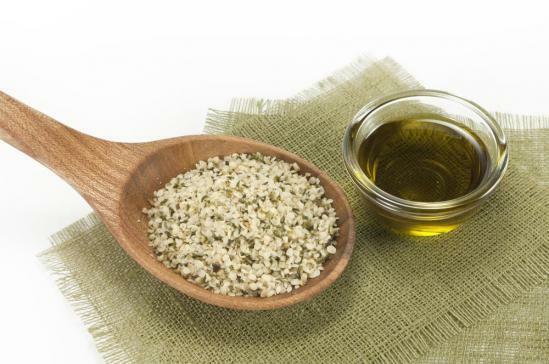 Hemp oil is desirable for nutritional benefit because of its high omega-3 content. It also delivers some GLA (gamma-linolenic acid) that is absent from the fats we normally eat. Hemp oil contains 57 percent linoleic (LA) and 19 percent linolenic (LNA) acids. These are the essential fatty acids (EFAs). They are so called because the body cannot produce them on its own, and so must get them from nutritional sources. The best sources are oils. Hemp oil is known to lower the risk of heart attacks because omega-3 fatty acids reduce the clotting tendency of the blood and improve cholesterol counts. It is for this reason this super-food is increasingly being recommended by health professionals. Omega-3 fatty acids and hemp oil have the added benefit of being anti-inflammatory agents. This makes them useful for those with autoimmune disorders. People with conditions such as arthritis may also respond well to consuming hemp oil regularly. On this point, here do not seem to be any qualms on the part of the government, assuming all regulations and permits are met. Hemp Oil Canada Inc. (HOCI), which sells hemp oil successfully as an agri-food from St. Agathe, Manitoba, has been operating since 1999. Hemp agriculture became legal again in 1998. The other one is the illegal Indica variety Botanically, THC-laden hemp oil is from the Indica varieties, and is seen by government as the Devil’s invention. Indica is the clandestine incarnation of the hemp plant varieties. The International Medical Veritas Association (IMVA) perscribes hemp oil for cancer therapy, we’re told, but that’s not without controversy. THC oil production is illegal, despite those who swear to the health benefits of vaporization, extraction, and inhaling cannabinoid essential oils or applying it to the skin. Around 2000 people have access to the medical marijuana program—a license to possess hemp in Canada. Ordinary people can’t individually make use of resin as a medicine. Any information which supports a medical view of the therapeutic value of hemp oil is categorically denied, and even suppressed. The claim is that there is a pain reduction benefit, and that understanding is fairly irrefutable now. Radiation treatment kills everything it’s used on, but doesn’t give you a chance to live comfortably. 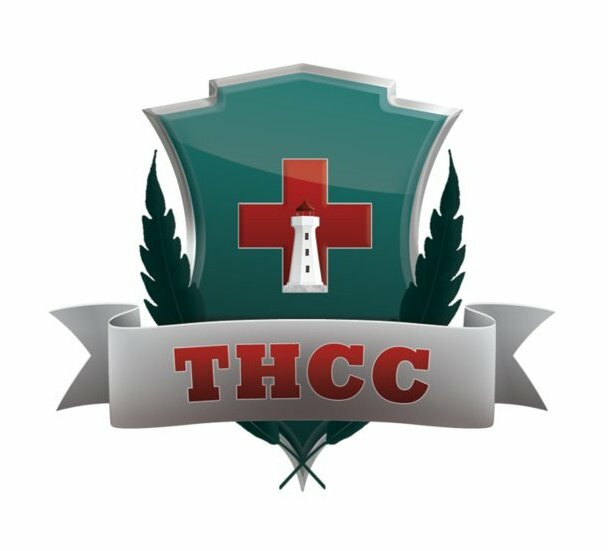 Why doesn’t the system use THC to help alleviate pain or cure cancer? As a widely used substitute for chemical drugs, it threatens big pharma. The medical industry doesn’t want to hear it. It doesn’t want to cure cancer—it wants the cancer patients to buy pharmaceuticals. Samuel Epstein, in his book Cancer-Gate, argues the point succinctly. The greater the disease, the greater the profit. Cancer is a big business. Pingback: What if you found the Holy Grail of Natural Medicine? Pingback: Polish Gazette - What if you found the Holy Grail of Natural Medicine?